Keep wires and components that carry signals away from ones that carry power. Use shielded wiring from the input jacks to the volume control and if more than an inch or so from the volume control to the tubes. Ground only one end of the shielded wiring. If signal and power wires must cross, separate them as much as possible and do so at right angles. Tightly twist AC carrying wires together (such as to tube filaments). Use terminal strips, lug strips or other methods of fastening components in place so they will not shift over time and possibly short out. Be sure to observe the color codes on the transformers. If you get the output transformer wiring wrong (blue vs brown) the amplifier will have positive feedback instead of negative feedback and will not perform properly. Use quality components. Cheap parts, especially the coupling capacitors will seriously degrade the performance of the amplifier. The Russian K40Y9 paper-in-oil capacitors work well as the coupling capacitors in this amplifier. I used audio grade capacitors for bypassing the filter capacitors. You do not need to use the brands specified on the schematic, I left them there to show what I had used. Do not use carbon composition resistors. Use either metal or carbon film ones. One half watt size is sufficient except for the 100 ohm one in the power supply. It should be a 2 watt or larger and can be a wire wound type. Use 5 percent or better tolerance resistors for best results (except the 100 ohm power resistor which can be 10 or even 20%). Filter capacitors may be larger, but avoid using smaller ones. I recommend 300-350 volt rating on the capacitors as the power supply can deliver slightly over 250 volts with no load at 120VAC input. If your AC mains are above 120 volts the value will be correspondingly larger. Be careful using the LR8 IC regulators. They will fail if you wire them wrong, short them out or abruptly apply a different load. If they fail, they usually will act just like a low value resistor and pass all the voltage to the load. They also have internal sensors for temperature and excessive dissipation. If they sense either condition they will shut down and not restart until you remove the power and correct the condition. The first time this happened to me, I thought the regulator had failed. The "K" series LR8 regulators are the most robust, but the "N" series that look like TO-92 transistors may be easier to use. Be careful using the LM317 voltage regulator IC. They are robust, but can be cooked. If you wire them wrong they will not act as constant current sources (CCS) and the amplifier will not work. See my guide about The Care and Feeding of LM317 and LR8 Integrated Circuit Regulators, Particularly in Valve Circuits for more information. In amplifiers like this one, be sure that no part of the heater circuit is connected directly to the ground. It will defeat the reference voltage (about 70 - 80 VDC) that is applied to the heater circuit. The reference voltage protects the driver tube from heater to cathode failure and helps reduce the overall noise level in the amplifier. Place the driver tube away from the power transformer. It isn't particularly sensitive to hum pick up, but every little bit helps to improve the signal to noise ratio. Space the tubes at least one diameter (of the tube) apart for good heat dissipation. Check your wiring before you first apply power to the amplifier. 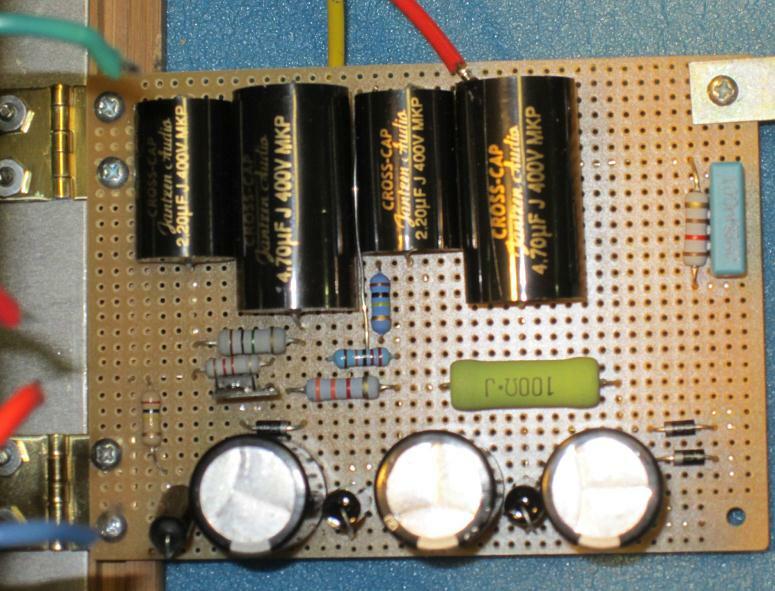 See the How to Power Up DIY Tube Projects for the First Time thread in the Forum for more information. Warning: This project uses potentially lethal voltages and should not be undertaken by anyone who is not familiar with working with such voltages or may not be comfortable with projects that entail such voltages. Construction is straight forward and uncomplicated. The inside layout is not critical. I used a perfboard for the power supply circuit and point-to-point wiring for the remainder of the circuit. I mounted the LM317 voltage regulator IC directly to the chassis with an insulator. I used a three pin ribbon connector to connect the LM317 to the circuitry. The grounding system I used was a main signal ground buss running down the length of the chassis. The actual buss was made from a strip of self adhesive copper tape that was used in window breakage alarm systems. The power supply board had buss wires down each edge that tied together in the center of the board. From there I ran a single wire to the junction of the signal buss and the input and output terminals. I have found that this type of arrangement works well to prevent ground loops. The chassis is connected to the same ground location by a 0.1 uF type X2 capacitor with a parallel 120 ohm resistor. The chassis is also directly connected to the AC mains ground at the IEC power entry filter. For more detailed information about grounding, see my suggestions about grounding and shielding for your DIY audio projects. The level control at the amplifier input can be deleted and replaced with a 100k resistor to the ground if you are going to use them as mono blocks. With the level control in place the amplifiers can be used as stand alone monaural amplifiers. The cases are made out of bamboo kitchen bins with one end cut off. The bottom of the bins slide out and make it easy to access the interior of the chassis. Parts for the valve amplifier can be sourced from Parts Express and MCM Electronics, among others. 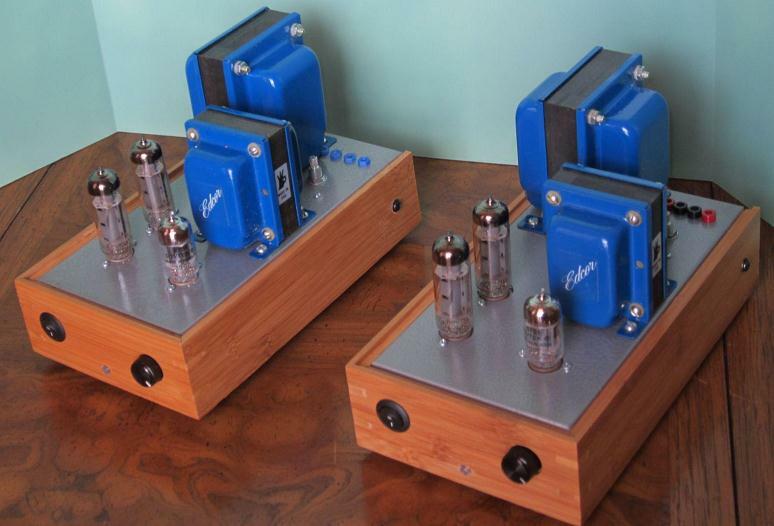 For additional valve amplifier design and construction tips, see my blog entry about design and construction tips and suggestions for vacuum tube amplifiers. Also, I have also posted some suggestions for a tube amplifier wiring color code. 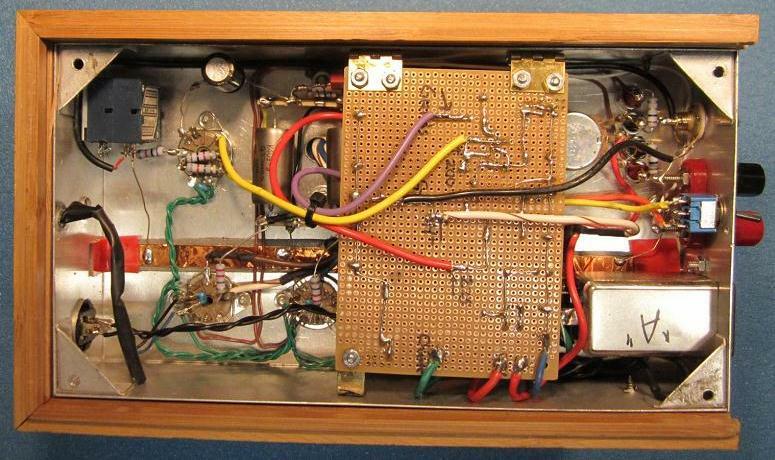 This amplifier is identical in operation to all the other "Oddwatts". It uses a constant current source to establish tube operation instead of a more conventional cathode bias resistor or fixed bias arrangement. The use of the CCS forces the amplifier to always stay in class-A mode. To ensure that both output tubes share equally in the power output a balancing control is placed in the cathode circuit. It is important to proper operation of the amplifier that the tubes be balanced at idle. This should be done on initial power up and checked after a few minutes to allow for initial tube variances. After that it should be checked occasionally and reset as needed. The reading ought to be about 41 millivolts (mV) on each set of test points (82 mV total of both sets). If you can not obtain satisfactory balance, check for wiring errors. If you don't find any, then try swapping the tubes and see if the problem follows the tube or remains with the socket. If it follows the tube, then one or the other is out of tolerance and needs to be replaced. I find that with well matched tubes the deviation is quite small even after many months of use. An unbalance up to 10% will reduce the output power but otherwise not be a problem. Above that level it is possible to have the tube passing the greater current to approach maximum thermal dissipation and in extreme cases fail. When you do the balance measurements you are actually measuring millivolts across the one ohm resistors. This translates directly into the number of milliamperes that particular tube is passing. I highly recommend matched pairs of output tubes from quality manufacturers. Others may work, but performance can not be assumed to be good. As noted above if the tubes won't balance there is either a wiring error (including cold solder joints) or a tube out of tolerance. If the tubes balance and you get no sound then you need to go through the wiring to find the problem. In the event the amplifier seems to have no bass or sounds excessively detailed you probably have the output transformer wired incorrectly. Temporarily disconnect the negative feedback wire and see what happens. If the sound level goes up then it was correct, if it goes down then it is backwards. You will then need to swap the anode and screen leads from the transformer from one tube to the other. If there is excess hum you will first need to determine the type. Is it at the mains frequency or a multiple of it? If it is at the mains frequency it is either due to lack of shielding on the input signal wiring, or a ground loop. If it is at a multiple of the mains frequency then it is power supply related and most often indicates a problem with a filter capacitor. The amplifiers require virtually no care and should work well for a very long time. I estimate tube life of around 5000 to 8000 hours depending on the tube brand. The original tubes from the Poddwatt project are now in the mini blocks and have somewhere in excess of 6000 hours and are still fine. There is no time delay / warm up circuit in these amplifiers and based on my prior experience none is needed. They will produce quality sound within about a minute from turn on. The sound should be clean, detailed and full range. 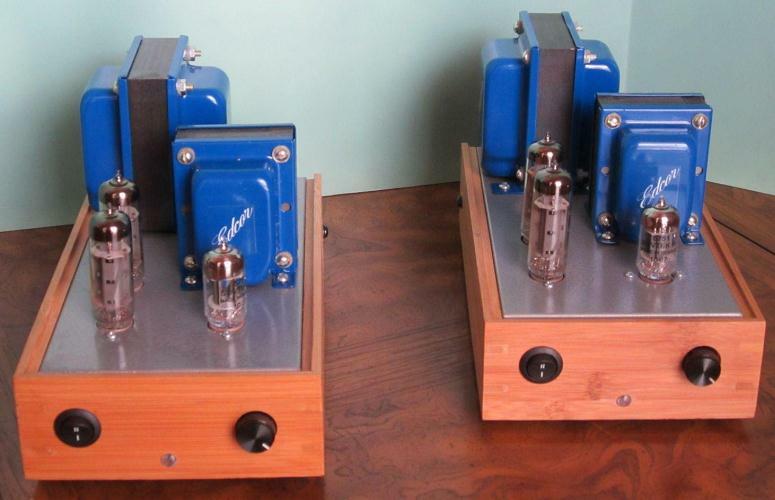 Tube rolling is possible and encouraged with these amplifiers. I find that JJ EL84 and Electro-Harmonix EL84EH tubes sound fairly similar and have a very detailed and clean sound. New production Mullard EL84 tubes are warmer and slightly sweeter in sound. For the driver, the new production Sovtek 5751 is very nice with a detailed and ever so slightly bright sound. The NOS JAN Philips 5751 used in several of my projects is a little warmer and laid back. It is a good choice for systems that are on the bright side. The new production JJ 5751 is not recommended. It does not seem to perform like the other 5751 tubes and has an inferior sound in these amplifiers. You can also use many of the 12AX7/ECC83/ECC803 series of tubes. They will work satisfactorily but I was not able to find any I liked better than the 5751. My preferred tube combination with these amplifiers is the Sovtek 5751 and JJ EL84 tubes. While it didn't make any sense to design and build these amplifiers, I am really glad I did as they are stellar performers. 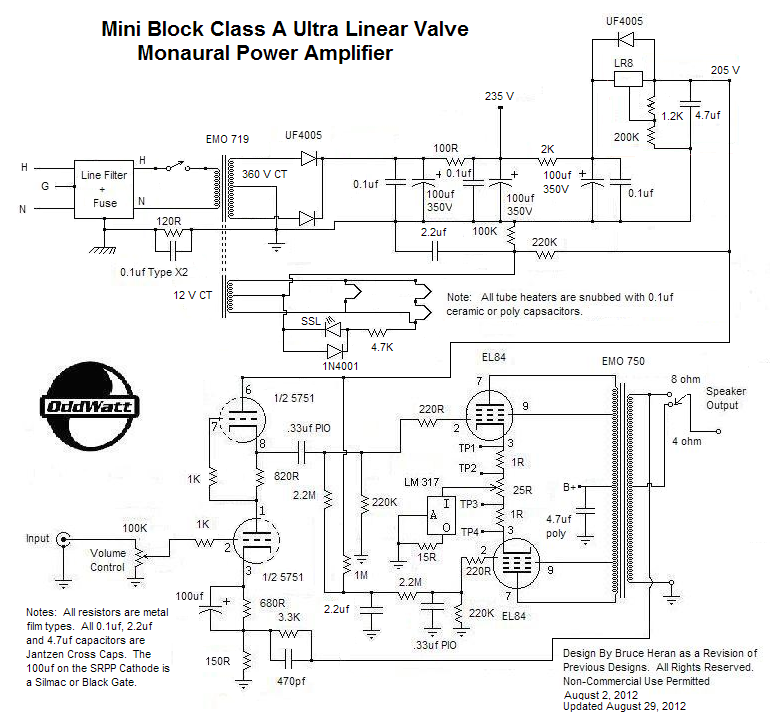 I hope you enjoy this project as much as I am and I welcome comments and questions regarding it - use the Mini Block class-A PP EL84 Amp project thread on the forum to discuss so we can all share experiences. Finally while many of my projects find their way into kits, it is unlikely that this one will. So if you want one, you will need to DIY. I made the task a bit easier by permitting Edcor to sell the OEM transformers directly to individuals. Bruce Heran is the VP for Design and Support of Oddwatt Audio. He has been involved in electronics in one form or another for nearly 50 years. 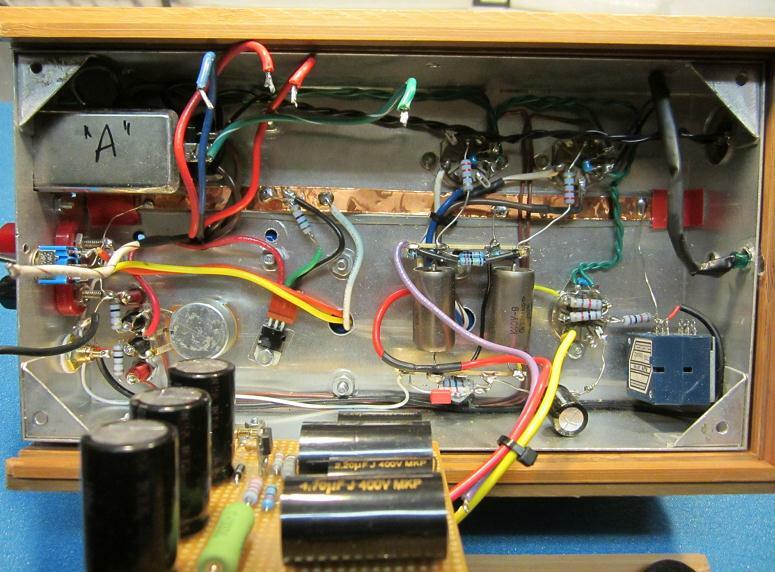 He is a strong supporter of diy audio projects and generally specializes in vacuum tube designs. One of his main goals is to educate and encourage new comers in the building of affordable high performance audio equipment.